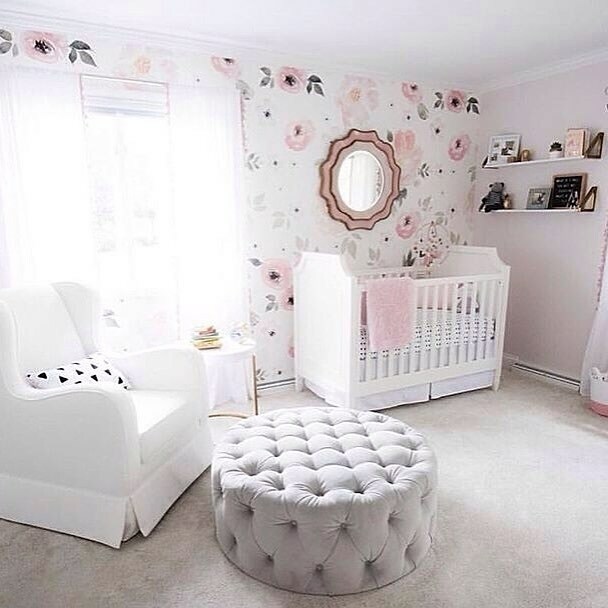 Bring your baby girl home to an adorable and functional nursery. 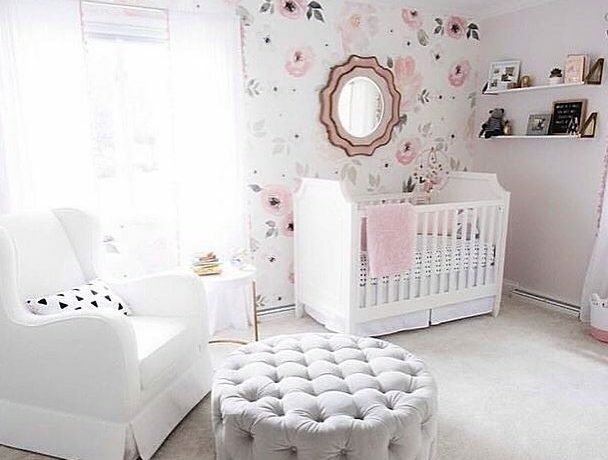 Here are some baby girl nursery design ideas for all of your decor, bedding, and furniture needs. If you don’t have one statement piece, make a collage of art for the spot above the crib. Baby won’t be reading on her own any time soon, but you can still create an area for when she reaches that milestone. It might be a good idea to keep a mirror somewhere in the nursery so you can check yourself out quickly post-feeding time and pre-commute. Baby will enjoy looking at herself as well! Keep supplies in a bin right next to where you’ll be doing diaper duty for easy access. Put wallpaper on an accent wall to make it stand out. Black and white can look soft when paired with a pastel-colored wall. Different patterns can come together as long as they aren’t overwhelming.